Summer is just around the corner and if you left any furniture, vehicles or other items out in the sun in the past, chances are you’ve noticed some sun damage. 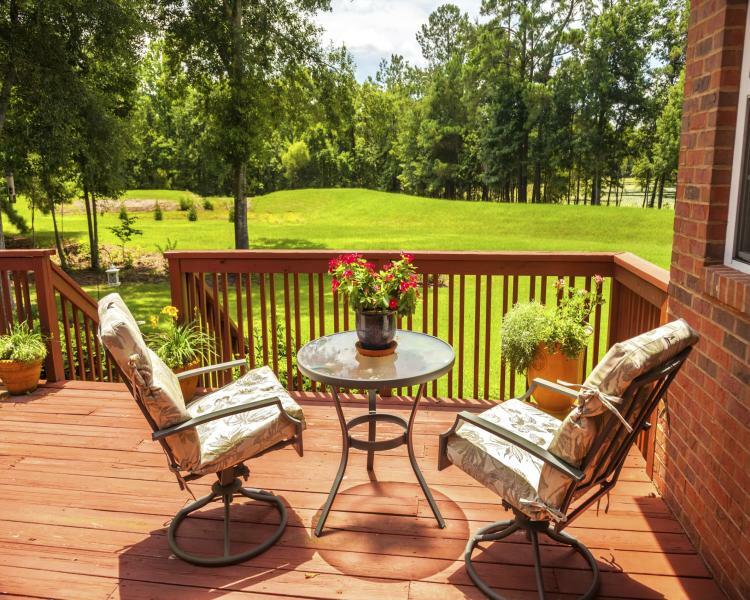 The sun is the strongest in the summer months and the hours of undiluted UV radiation can wreak havoc on wood, leather, plastic, and paint, inducing fading and weakening. Rather than spending hours cleaning, repairing or replacing outdoor items affected by the sun, invest your time in protecting them ahead of time to avoid future wear! Outdoor furniture is usually left outside all summer long, exposing it to direct sunlight and other elements. The heat and UV rays can warp even the strongest materials like wood, rendering them brittle and damaged. Leather and plastic components take even more of a beating, and can warp, crack, fade and even melt due to prolonged sun exposure. Fortunately, there are products that can help protect your outdoor furniture. Using a product like 303® Aerospace Protectant can vastly increase outdoor furniture’s resistance to wear and provide protection from sun damage. Just apply a small amount on hand rests, table tops and other areas likely to be affected, then completely wipe dry. Even if you normally leave your motorcycle in your garage during the day, the few hours that it spends in parking lots can result in costly wear and tear to various components due to UV damage. When exposed to sunlight, painted surfaces and decals can crack and peel, ruining the bike’s appearance. To help prevent this type of wear, try using 303 Speed Detailer on painted areas and decals. Certain types of saddlebags are also prone to sun damage without proper protection. Applying 303 Aerospace Protectant can protect your bike’s saddlebags and keep them looking shiny, too. 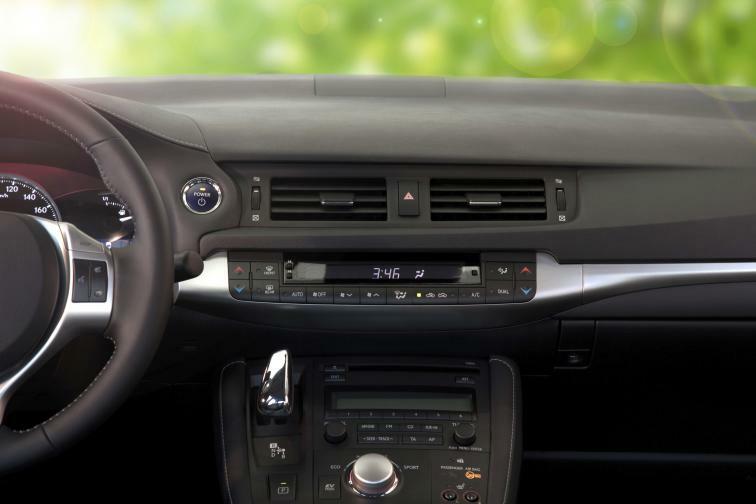 Chances are your car’s dashboard is made of a durable, lightweight plastic polymer. It’s a great material but has one critical weakness, the sun. Over time, sun exposure can cause fading, chipping and cracking, resulting in a damaged dashboard that will vastly reduce the value of your vehicle. To help improve the look and longevity of your dashboard, it’s important to use a protectant like 303 Aerospace Protectant on areas that are in direct AND indirect sunlight. Even reflections can cause damage to surfaces that are out of the sun’s direct rays. The above-water components of virtually any outdoor pool, hot tub or Jacuzzi will need UV protection to ensure longevity. When exposed to the sun, hard plastic can chip easily, and rubber can warp or simply fall apart when in direct sunlight. Even pool covers, while supposedly sun resistant, have been known to stiffen, causing wear and tear when left in the summer heat for too long. To help sun proof and waterproof your above ground pool, hot tub or Jacuzzi, use 303 Aerospace Protectant on all exposed plastic, rubber, fiberglass and vinyl surfaces. This is a very cost-effective way to help maintain your water gear for years to come. Hi, Does this product need to be wiped on or can it be sprayed so it covers the surface evenly? Hi Greg, you can do either. We just recommend that, whichever method of application you use, that you buff it into the surface with a clean microfiber. Please contact us at marketing@goldeagle.com if you have any questions. Hi James, If the surface is smooth, then use 303 Aerospace Protectant. Please contact us at marketing@goldeagle.com if you have any questions about this. I plan to use a large shallow malamine bowl for a birdbath. It won’t be 100% in direct sunlight–but I’d like to apply a protectant that is not toxic to birds. Does 303 Aerospace Protectant meet that criteria? Thank you for your information. Hello! Thank you for the question. We do not recommend 303® Aerospace Protectant if it is going to be in contact with potable (drinking) water. If you have any other questions please contact consumer support at producttechsupport@goldeagle.com.